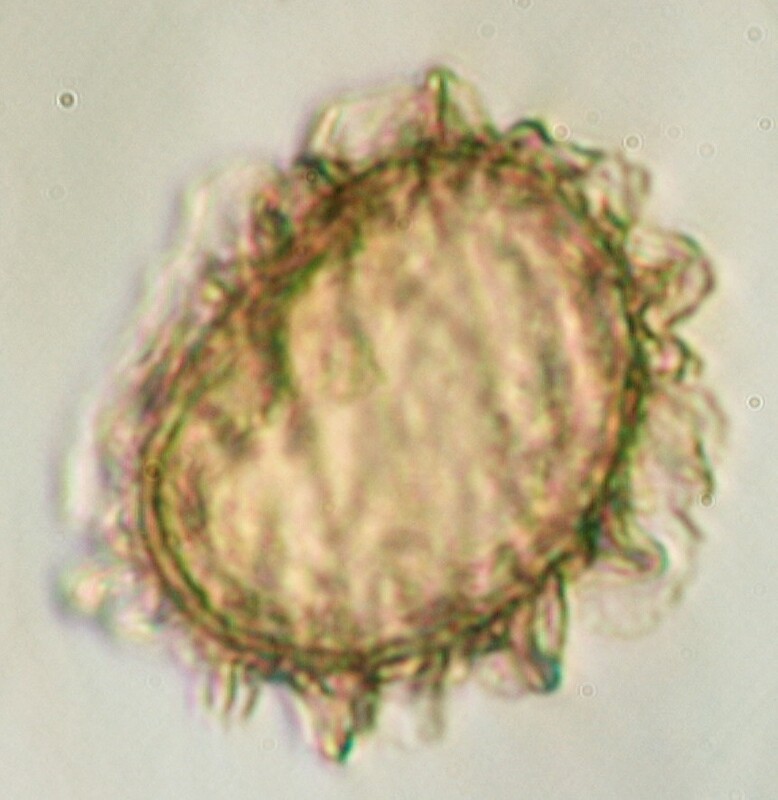 Fern spores often have a well developed perine that envelopes the endospore. Here the perine or perisporum creates a surface ruffle around the endospore. Fern endospores are typically kidney shaped with a single colpus or, more properly, a monolete scar. If a pollen has a single fissure then it is called monocolpate. If a spore has a single fissure then it is called monolete.